Hello there. It's been a long time since I last posted. With hectic work schedules and my father's sickness and recent passing away, I lacked the time and inspiration to post anything. However, we've come to the end of the year. On Monday, which falls on 22 December this year, the Chinese will celebrate the Winter Solstice festival. 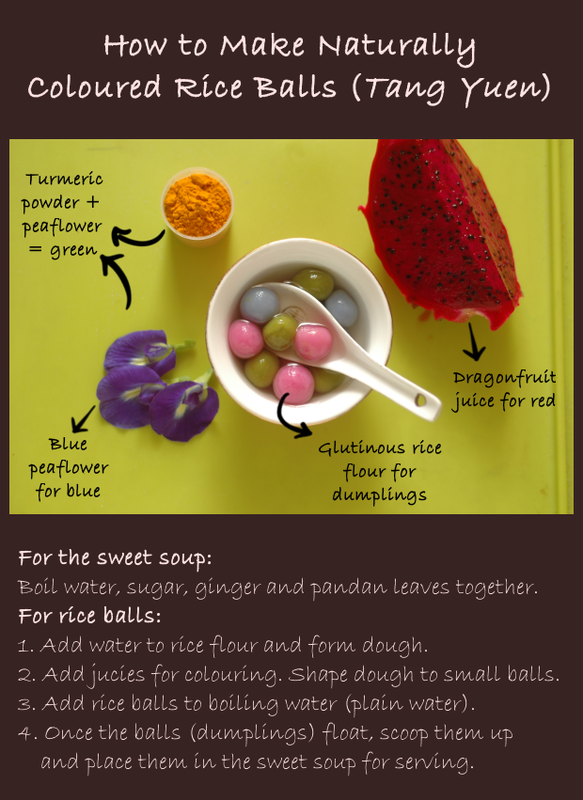 Glutinous rice balls (or dumplings) are eaten in this celebration. Like these tiny round balls are which are symbolic of the seasons coming to full cycle, so too has my father's life come to its fullness and he is now in a happier place. Seasons and people come and go. This year there's no Christmas tree or shopping for me. And I don't have the time the make rice balls (tang yuen) for my family. But I made some rice balls with Emma last year and took some photos. So, I'd like to share this in my blog this year. 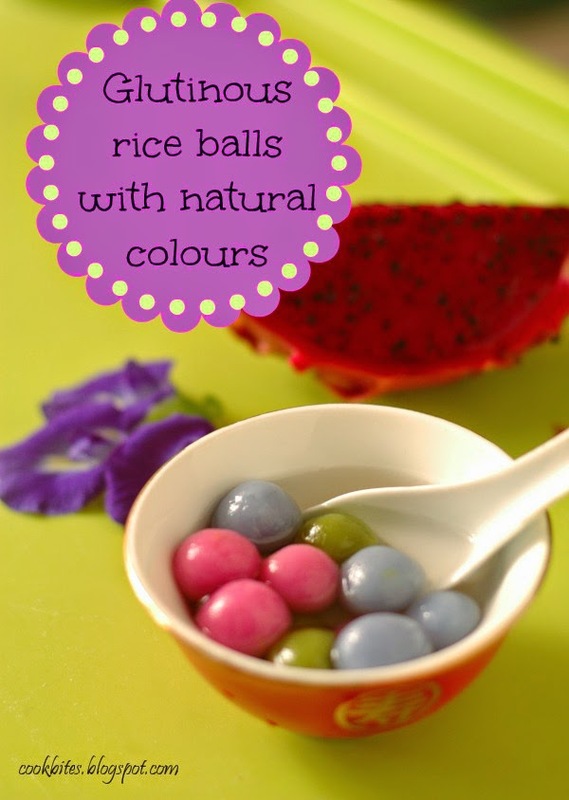 I've changed the recipe to do without food colourings. After all, nature has provided us with beautiful colours we can use in our food, as you can see below. Here are the colourful doughs. Here's my kiddy trying her hand at making the rice balls. In Hokkien, we call it sow ee. Marble balls, concocted by Emma. And more balls... by right they should be in even shape. But who wants to be fussy, right? A good option for green colour would be to use pandan juice. But I didn't have any at that time, so I improvised. I used turmeric powder and mixed it with the juice from blue peaflower or bunga telang. The colour was a lovely green. The downside was that it had the distinctive turmeric taste. So if you can, use pandan juice. You'll get a lovely flavour with that. So here's the simplified recipe from me. Happy Winter Solstice or Dōngzhì Festival to all. And a Blessed Christmas too.